William Louis Keller, of Chester, New York, died October 15, 2018 at Orange Regional Medical Center, in Wallkill, New York. He was 79 years of age. He was born December 4, 1938, in Hackensack, New Jersey, to the late Michael and Victoria Keller. A 55 year resident of the area, William worked for Frontier Communications for 40 years before retiring. 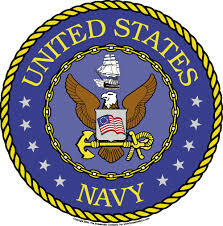 He served in the United States Navy during the Cold War, and was honorably discharged after faithful service to his country. William was predeceased by his wife Jennie. He is survived by William (Maggie) Keller, of Warwick, New York; Thomas Keller, of Chester, New York; Linda Keller and Rudolph Richichi of Williamsburg, Virginia; numerous nieces and nephews; and several grandchildren. A Celebration of Life will be held at Orange County Veterans Cemetery located at 111 Craigville Road, Goshen, NY 10924 at a date and time to be announced. Funeral Arrangements and Cremation Care have been entrusted to Thomas F. and Brendan T. Flynn, Directors and Cremationists of Flynn Funeral and Cremation Memorial Centers, Inc.
Billy and Al grew up together and Billy was best man at Al and Joan's wedding.